Exciting Opportunity | The Crossroads Centre Activities Coordinator. As part of the exciting developments in The Crossroads Centre we are looking for an enthusiastic and energetic person to bring the centre to the next level as the Activities Coordinator. 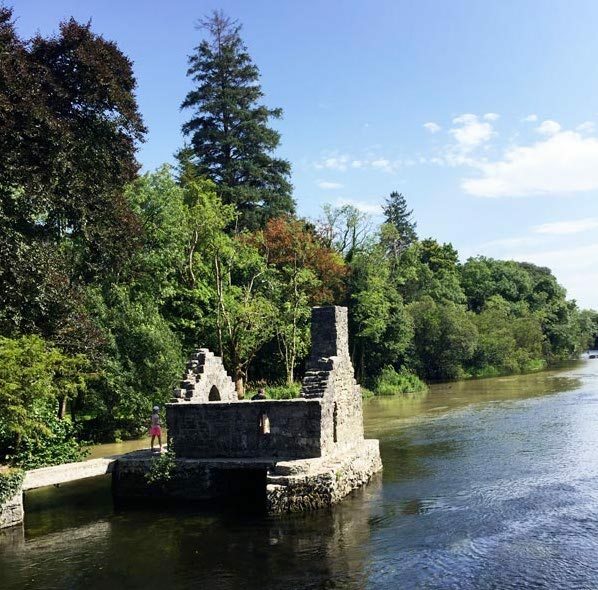 The purpose of this post is to coordinate the day-to-day operations and organisation of activities in the Crossroads Centre and further develop, enhance and promote service provision thereby supporting the Centre in its efforts to provide access to support, services and information for families, individuals and groups in the Cong area and surrounds. Its services are designed based on the principles of inclusiveness and integration for all social groups, including older people, the unemployed and people with disabilities. Reporting Relationship The Crossroads Centre Activities Coordinator will report to the Operations Manager of Cong Community Centre Ltd. Working Hours 39 hours per week (excluding lunch breaks). Due to the nature of the work evening and weekend work will be necessary. Any time worked over 39 hours will be given in via Time Off in Lieu (TOIL) system. Timesheets must be kept. Location of Post The Activities Coordinator will be based in the Crossroads Centre in Cong Co. Mayo. Details of Service The Crossroads Centre is a state of the art facility to serve a parish, consisting of three villages, Cong Cross and the Neale in Co. Mayo Ireland. This centre’s business name is The Crossroads Centre. It is owned by the Community, under a Voluntary Board of Directors and Members, the legal company name is Cong Community Centre Ltd. The Crossroads Centre aims to benefit all local people, groups and organisations. It is a not-for-profit community, voluntary and charitable organisation. It is a social enterprise initiative set up to develop services and facilities which are commercial in nature to provide social and community gain. This multi-purpose facility is 7,600 sq feet and incorporates an exhibition/foyer area, fully functioning corporate type kitchen, large and small meeting rooms, a heritage quarter and a large hall for special occasions. Work with academic and professional bodies and other relevant stakeholders in relation to promoting usage of the Crossroads Centre. Accurately record minutes of all meetings relevant to coordinating activities of the centre. Maintain database of usage of centre. Maintain necessary records with regard to the Crossroads Centre Safety Regulations and the provision of reports following accidents or near misses. Contact person(s) for issues relating to use of centre. The Crossroads Centre is registered with the HSE Environmental Health Service as a Food Business limited to the preparation and service of soup, sandwiches, scones and beverages. Ordering food provision from external providers as required. The Crossroads Centre Activities Coordinator during the period of employment or at any time after the termination of the employment may not disclose any confidential information in respect of the employer or information relating to the work or staff participating or working in the Crossroads Centre. The above Job Description is not intended to be a comprehensive list of all the duties involved and consequently, the Crossroads Activities Coordinator may be required to perform other duties as appropriate to the post by the Voluntary Board of Directors. This job description may be reviewed, updated and/or amended from time to time inline with the needs of the service as required by Board of Directors and Management. b. Persons in receipt of disability allowance (DA), invalidity pension, blind persons pension or other disability benefit. c. Travellers in receipt of Jobseeker’s Benefit or Jobseeker’s Assistance or one parent family benefit. d. Stabilised and recovering drug mis‐users. e. People employed from Tús, Gateway, Community Employment (CE) and Job Initiatives (JI) schemes are deemed eligible. Former RSS workers who were previously CE participants are also eligible. Each candidate for and any person holding the office must be of good character. Garda vetting will be required. To comply with the CSP funding conditions, the applicant must be under 66 years of age. Demonstrate the ability to empathise with and treat others with dignity and respect. High level of I.T. skills, in particular MS Word (for letters, reports, minutes etc), MS Excel (to set up spreadsheets for accounts etc). Good communication skills, negotiation skills, excellent organisational ability. To communicate effectively across a wide range of services and agencies. The ability to promote and implement change for the good of the service including identifying areas for improvement. WHEN the whole country was told to enjoy the sunshine because it would be the last we’d see of it I raised my hand in Mayo News HQ to discover some tourism gems. What better way to spend a day than rediscovering some of my favourite spots around Mayo, and in the sunshine no less. The only downside to getting out of the office for the day was my mode of transport, I offered to visit ‘Joyce Country’ by bike, forgetting that the last time I was on the saddle was nearly a year ago. After a few false starts (borrowing a bike only to find it was meant for someone over six foot tall) I hit towards the border, on a mountain bike with deflating tyres. The dodgy tyres couldn’t deflate the mood though, the sky was blue, the tunes were great (yes, I had earphones in, but the music was really low, I promise) and the open road meandering through the Lough Mask area and over the border. 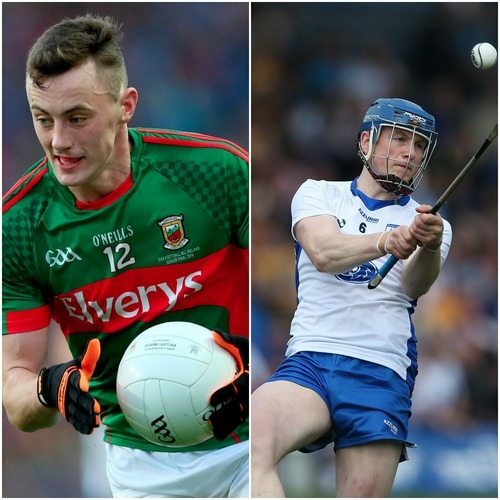 MAYO’S DIARMUID O’CONNOR and Deise star Austin Gleeson were honoured with the prestigious Young Player of the Year awards at tonight’s GAA/GPA Opel Allstar bash at the Convention Centre in the capital. 21-year-old O’Connor, picked up his second straight Young Footballer of the Year and now stands level with big brother Cillian as two-time winners of the award. His Grandmother, Teresa O’Donovan, was a local in The Neale. The family of an Erris man who drowned at sea last year have hailed the ‘incredible’ support they received from the community in the search for his body. The body of Daniel Doherty (22) was found in Lacken Bay on September 25, two weeks after he went missing whilst out working his lobster pots off the Erris coast. An inquest into his death last Wednesday heard that the huge land and sea search saw hundreds of people lend their support. Figures from the Irish Coast Guard show that 150 people helped during the week and that figure rose to 500 at the weekend. However, the family stress these figures just account for those who signed up at a local community centre – many more simply joined the search mid stream. “The help we got from the wider community was incredible. We will be forever grateful,” Daniel’s mother Noreen said afterwards. Mayo lady celebrates her 104th birthday! 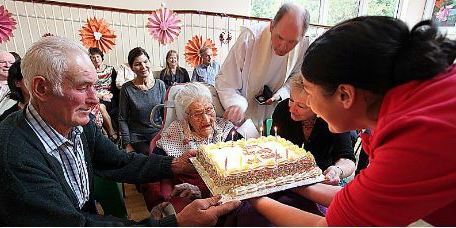 Congratulations to Mayo lady Mrs. Elizabeth McGowan (Lizzy) who has celebrated her 104thbirthday. Lizzy blew out the candles on her cake with her family and friends who joined her for the big party in St. Brendan’s Unit, Mulranny. Among the guests was her great-granddaughter Caitlin O’Reilly (pictured below) who is more than a century younger than Lizzy. Caitlin’s eyes were wide with excitement as she enjoyed celebrating her great-grandmother’s birthday – the age difference between them is 102.5 years.